Welcome to the 35th issue of "Shut Up and Mangia!". This special Father’s Day issue will focus on Dad and his favorite food. This year treat your father to his favorite meal. Cook up a great dinner, give him plenty of gifts and most of all give him all of your time. Time is the most important gift you can give him. Congratulations to the winners of the “Mangia Italiano Spring 2010 Recipe Contest”. We wish you the best and hope you enjoy your prizes as much as we’ve enjoyed your recipes. NOTE: There was a tie for fifth place but I decided to send prizes to both. Congratulations! I would again like to thank everyone who submitted such great recipes. Check back for details on our next contest. If you haven’t had a chance to visit my new site "Mia Cucina Pazzo.com" do so now. It’s a fun place where I get to write anything I want and share my thoughts on a variety of Italian subjects. Feel free to post your comments anytime. I’m doing my best to add new recipes and some interesting articles on various Italian topics.. 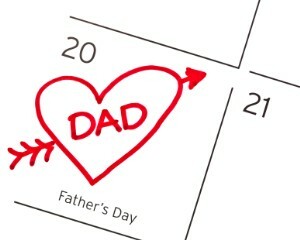 Here is a list of the featured recipes for you to celebrate Father‘s Day. Just click here and enjoy. Mangia Italiano! Plan a great Father’s Day by attending Festa Pasta Vino this weekend, June 18th, 19th and 20th on 24th and Oakley in Chicago. I’ll be there with the family in the evening eating great food and listening to great music. This is Chicago’s most popular celebration of Italian culture. For more information visit Onesti Entertainment.com . If you are looking for new exciting recipes you can always check out my new ebook Mia Cucina Pazzo.